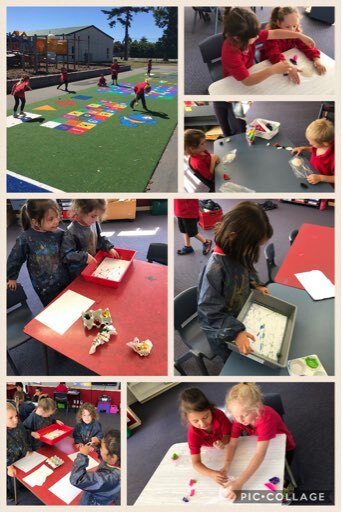 This week we had a go at creating a painting using marbles. We put our paper in the bottom of a tray then we dipped marbles in paint and rolled them around. We also made a hacky sack to use on the turf. We worked with a buddy to make a ball of rice in gladwrap and put inside a balloon. We had lots of fun!